ta Comic collecting can be a very demanding hobby. Not only is it difficult to keep up with prices and to find the best deal, but it’s important to know that you’re not getting ripped off. When in a comic book convention especially, things can seem hectic and you can feel pressured into something you did not feel comfortable with in the first place. Here’s a personal, if not, embarrassing story that happened to me when I first started collecting. I saw X-Men #66 – the last issue of the series before it went into reprints – for a meager $20 at a local Comic Convention. The Comic Book Price Guide suggested a near mint (graded at a 9.2) copy of the book would go for $240. I asked the retailer to take the book down and give it to me. I looked over the cover in the bag and couldn’t believe the price. The quality of the book was pristine. But there was no mistaking it as there was a big two inch by two inch $20 sticker right on the front of the bag the book was in. Realizing the great deal I was getting, I paid the man for the book and went on my way. It wasn’t until I got home did I see what had happened. Had I opened the bag and pulled the book out I would have noticed that behind the large $20 sticker was a corner of the book that was obviously torn off and taped back on by the retailer. The sticker was covering up the defect! I was had! Or was I? Let’s just say I had learned my lesson. As the years went on, I picked up on some other tricks about collecting comics at conventions. Here’s how you can guarantee to not fall under the same trap I fell into. Reading my story, it’s obvious that opening the bag should be the number one thing you do when you’re checking a book for quality. Whether it’s in a bargain bin or on the retailer’s wall, open the bag up and look at the cover. Check for defects and make sure the cover is all in one piece. 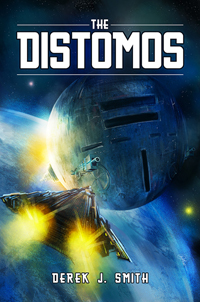 Look at the staples, look at the vibrancy of the cover, and check for creases, tears, or touch ups. If you don’t feel comfortable doing this, ask the retailer to open the bag for you for you to look at. They’re trying to make a sale, so they are more than willing to let you nitpick over the book. You want to make sure that you’re paying for what you’re getting. Even ask them questions about that book’s history: who owned it beforehand? Was it touched up? Are all of the pages intact? Another early collecting story of mine is when I picked up a copy of Fantastic Four #45 – the first appearance of the Inhumans and Black Bolt. While the cover was alright, I purchased the book and went through it later when I was at home. As I looked inside, there were clippings from the mail-away advertisements missing. So while the cover makes up the majority of the price, the interior of the book must also be in good condition to make the value. While you have the book out of the bag, by all means, flip through the pages of your potential investment. Most Comic Conventions have more than one retailer. By all means, look at them all before you purchase your book. You can save yourself hundreds, if not thousands of dollars by being vigilant and checking/comparing prices from the various vendors. Go to these conventions with a goal in mind. 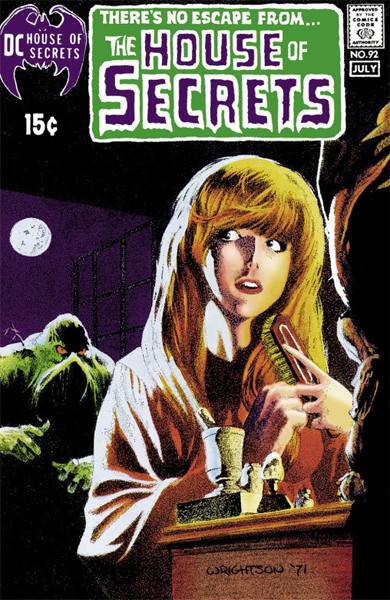 If you’re looking for House of Secrets #92 featuring the first appearance of Swamp-Thing, know what the general prices are before going into the convention. Check out the Comic Book Price Guide and try to memorize the numbers. The book is often considered as the Bible to what book prices should be. You should never aim to pay more than what the book is asking. Alternatively, you can use it as a reference guide to pricing and to help you find the version of the book in your budget. A good quality (CGC 2.0) version of House of Secrets #92 goes for around $50 according to the Guide. However, a near mint copy can start around $1200. However, you may find a vendor only asking $1000 for a 9.2 graded copy of the book – or maybe they’re asking $1300. The purchase is your call. Allow me to be contradictory for a moment. According to the Comic Book Price Guide, a near mint version of The Walking Dead #1 should be $800. However, it has been recorded beyond the Guide that the book can easily sell for $1500 or more. While the Guide offers a great reference point to both retailers and collectors, the market can fluctuate the prices of books dramatically. For example: if someone wanted to pay $1500 for that quality copy of The Walking Dead, chances are the next book will sell for $1600, or $170.! Maybe even $2000! It’s important to do some additional research before you jump into the thick of collecting. You may just be in for a surprise when the book you want is surprisingly out of reach. Think about a book and WHY it should increase in value. For example, we’re already two Thor movies in with a third one on the way. While a villain for the third film hasn’t been announced yet, it’s been heavily rumoured for years that The Enchantress will be making an appearance in the Thor series. It’s probably best to buy Journey Into Mystery #103 where she makes her first appearance BEFORE she gets put into a movie. What if she never gets put into the film? The book will rarely ever depreciate in value, so it’s best to get a head start before everyone else. I’ve always wanted to buy Iron Man #55 as I love Thanos. 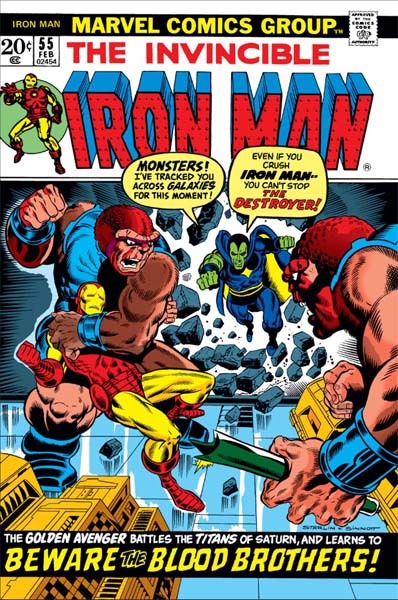 Iron Man #55 has his first appearance and before The Avengers movie hit theaters, it was heavily rumoured that Thanos was going to appear. I’ve always stalled on buying the book – where a near mint copy would go anywhere from $20-$75 before the film was released. Once it came out, the book skyrocketed to over $800 at some conventions. A missed opportunity there. You’ll never be 100% flawless from buying comics at conventions. There will be some point where you’ll get burned on price or realize the book you should’ve bought was at another vendor: it’s part of the comic collecting experience! It’s important to learn from your past mistakes, much like I have and blogged about that X-Men #66 experience before. Nowadays, I do my best to stay vigilant and look for certain opportunities when they arrive! I once grabbed a near mint copy of Uncanny X-Men #266 – the first appearance of Gambit – in a dollar bin. The book could’ve easily went for $60+. But I knew what I was looking for and knew the prices. Not all vendors are perfect, you know! 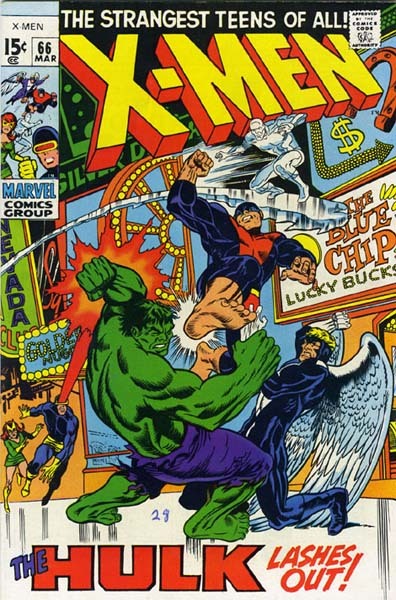 However, if it seems like too good of a deal – it may just be that price for a reason (but that Uncanny X-Men #266 went to me for $5 and it was sincerely in near mint condition – the retailer’s fault)! So the moral of the story is to be prepared when going to a Comic Convention! If you do have any questions about collecting, ask away or you can hit me up on Twitter and Instagram!! And keep on Space Truckin’!